The SWM24SF-3AE integrated stepper can operate in the following control modes: step (pulse) & direction, velocity (oscillator), and streaming serial commands (SCL). 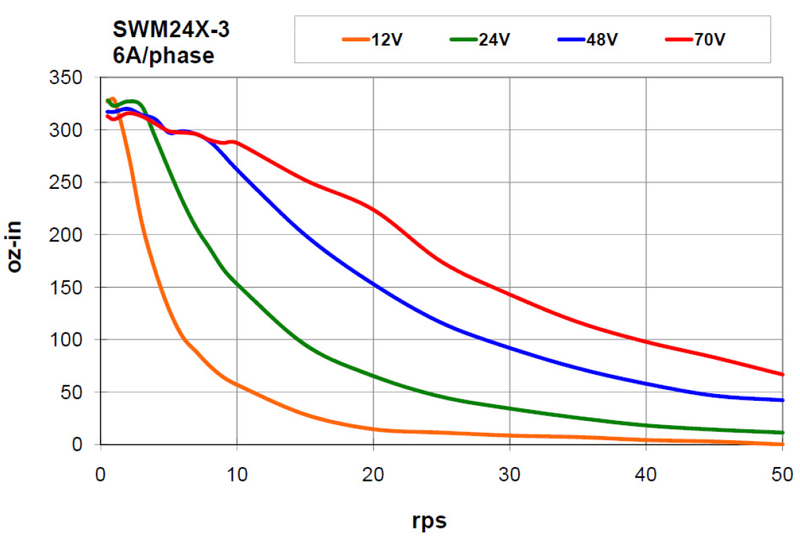 (SWM24 integrated steppers do not support stored-program operation with the Applied Motion 4-axis and 8-axis SiNet Hubs). All SWM24 integrated steppers are setup and configured using Applied Motion’s ST Configurator™ software. 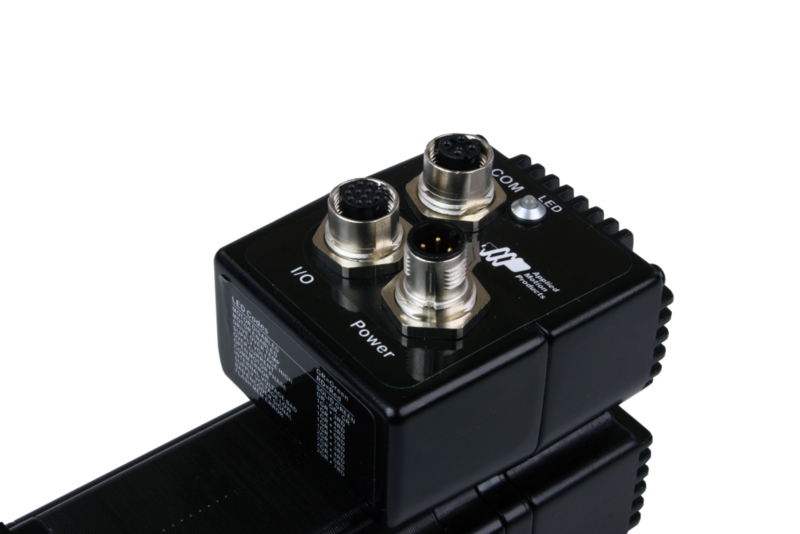 The SWM24SF-3AE comes with 4 digital I/O points, called Flex I/O points, because each point can be individually defined as an input or an output. 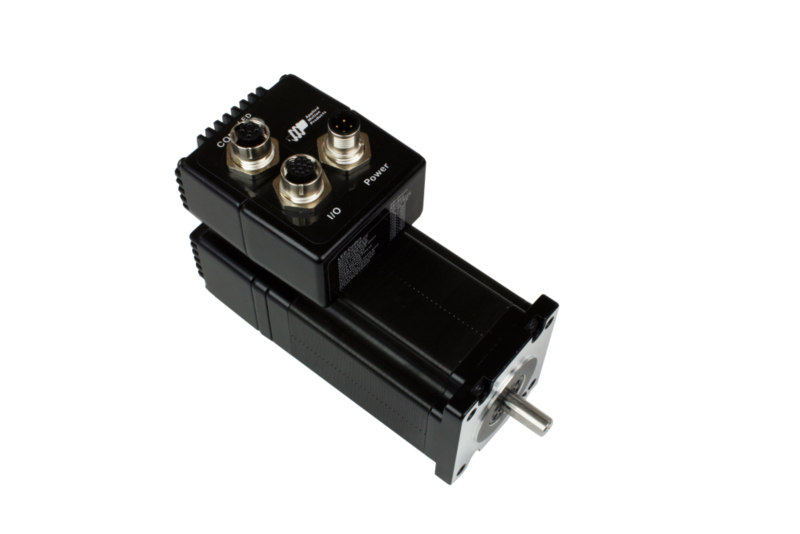 As inputs, the Flex I/O points accept signals of 5-24 VDC and can be used for connecting pulse & direction signals, end-of-travel limit switches, jog switches, quadrature encoder signals, PLC outputs, sensors, or many other signal types. When defined as digital outputs, the Flex I/O points can be connected to PLC inputs, counters, lights, relays, or other devices. 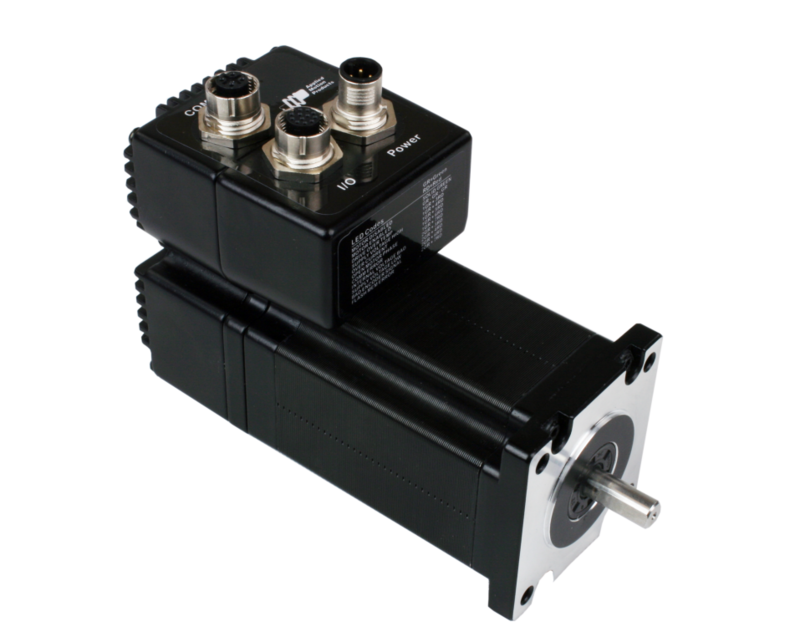 The unit also comes with 1 analog input that accepts 0-5 VDC signals, which can be used for velocity and position control. 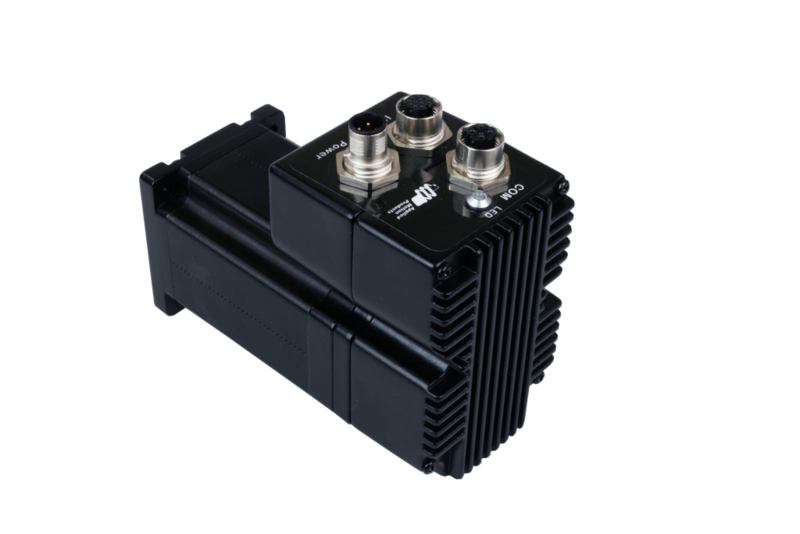 The SWM24SF-3AE comes with an RS-232 port for programming and serial communications.